Express Your Love to Mom with a Charm Bracelet from SOUFEEL! Disclaimer: I received this complimentary product in exchange for my honest opinion. No monetary compensation was provided. As with all my posts, our opinions are 100% honest and our own. I've always been a big fan of charm bracelets. As a little girl, I was always adding charms to my link bracelet and then outgrew those vibrant charms. 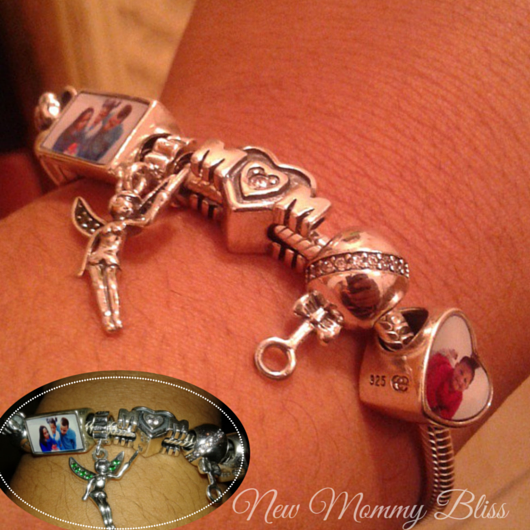 Being a low-income parent, I'm not one who can just easily afford a Pandora charm bracelet. I've always desired one, but found it to be truly outrageous to pay almost $100 for a charm! Collectors would be inclined to purchase Pandora and they do make lovely gifts, but I'm happy with this more affordable (Pandora Compatible) option! 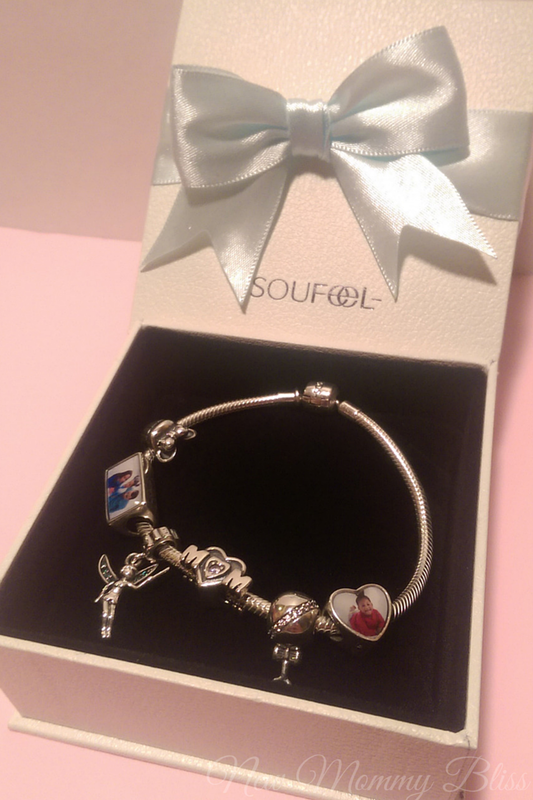 This Mother's Day, my Love of charm bracelets has been fulfilled with jewelry from SOUFEEL! SOUFEEL is a jewelry company that makes beautiful charms, bracelets, rings, earrings, and necklaces. 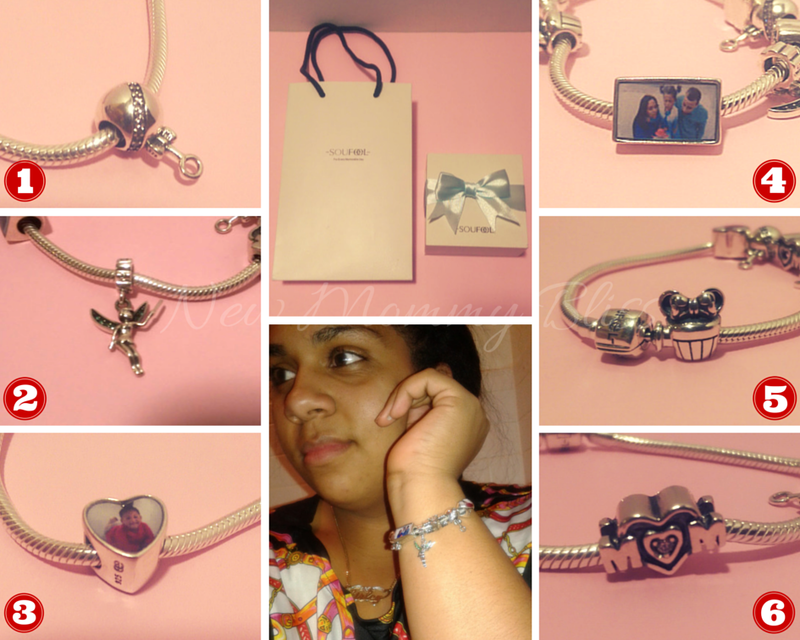 I was given the chance to review a lovely bracelet along with 6 charms of my choice and I couldn't be happier. It's a truly wonderful Mother's Day Gift and/or gift for all other occasions! SOUFEEL has offered my readers a 5% discount on their already amazing prices by using code 'Shirley5'. Upon opening my package (which comes from CHINA and took up to 3 weeks to arrive to NYC), I saw an adorable gift box and a gift bag in case this was to be gifted. Here are the items I picked from the SOUFEEL website. They are a representation of the things and people I love! 1) Pink Girl Logo Charm ($18.95) to represent my 1st and only child (for now). This adorable silver rattle charm is aligned with a row of pink crystals. It also comes in a Blue crystal style. 2) Emerald Fairy Dangle Charm ($15.95) represents my love of Disney! It looks like the ever loving Tinkerbell to me and has nice emerald colored crystals on the wings. 3) Crystal Heart Charm 925 Sterling Silver Memorable Charm ($18.95) shows my little angel/monster. 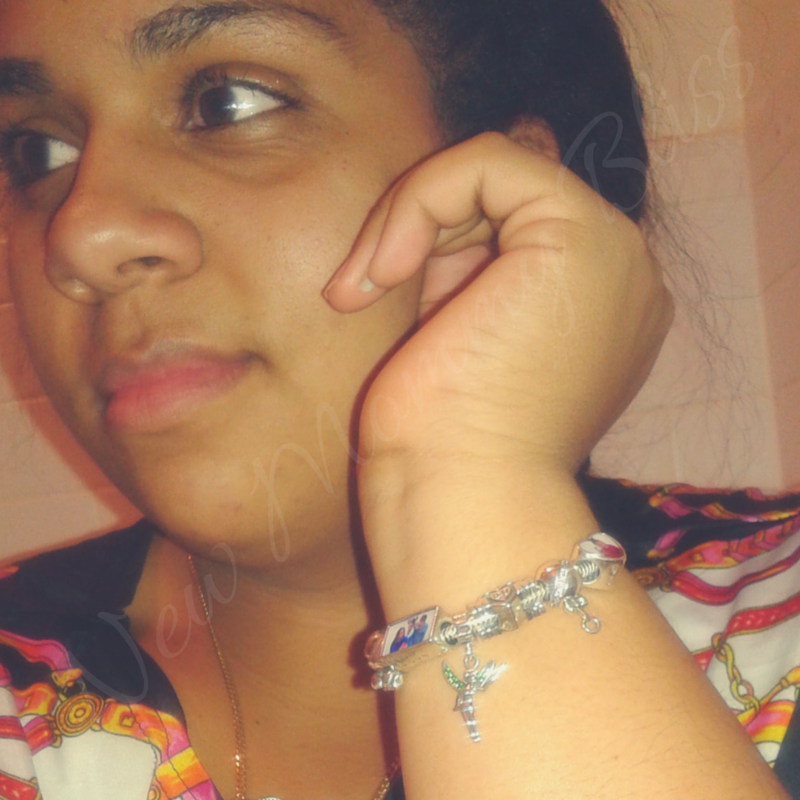 She is always in my heart and now her image is with me, around my wrist, anywhere I go. The back side of this charm has a lot of little crystals to make it sparkle. 4) Live Love Laugh Charm 925 Sterling Silver Memorable Charm ($18.95) shows of my little family. It's the image from her second birthday and I am in LOVE with it! We are always Living life, Loving each other, and laughing together. 6) Angel Mom Heart Crystal charm ($19.95) to represent the greatest Full Time Job in the entire world... Being a Mom! 7) The free Bracelet gift. I chose the 925 Silver Bracelet. When choosing a bracelet, you are able to select from various wrist sizes... I chose an 18.5cm measurement. The clasp on the bracelet has "Soufeel" engraved on it and I truly appreciate that it's an easy, no-fuss, user-friendly one. It is an open and close style clasp that holds. I have to say, the price of this set definitely beats the competition. The 6 charms came out to be worth $108.70 and the promotions going on are: Free shipping over $50 and Free Charm Bracelet over $99! No way you can beat that. They also offer a 365-day return and exchange guarantee! All in all, SOUFEEL is an option you can definitely consider if you want a lovely Charm Bracelet that wont break the bank, are deciding on purchasing a Pandora, already own a Pandora and just want more affordable charms, or if you're looking for the perfect gift for a special someone. I find the overall quality to be very good and the price super reasonable. Aside from the charm bracelets and charms, they have plenty other interesting items that will surely catch your eyes. That is a gorgeous charm bracelet. What mom wouldn't love that? I have one on the way and I'm really looking forward to it! My kids chose all my Charms so it will be special! How pretty. This is really a fantastic mother's day present. Such a personal touch. These bracelets are so cute! 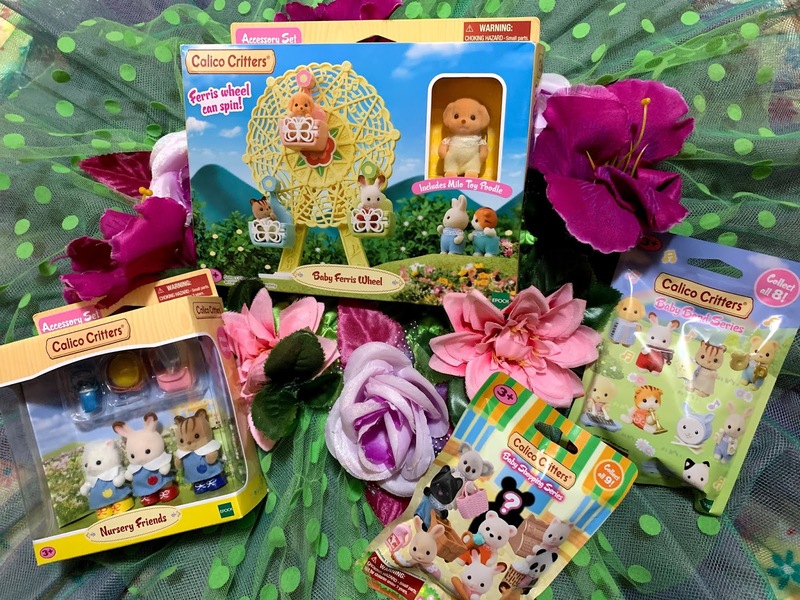 They are a great gift for Mother's Day! A completely adorable gift idea. Such a great gift idea for Mothers day! I love these! I also don't want to spend so much money on Pandora so this is a great alternative for me! These are really nice! Great gift idea! Nice gift idea! Love charms. 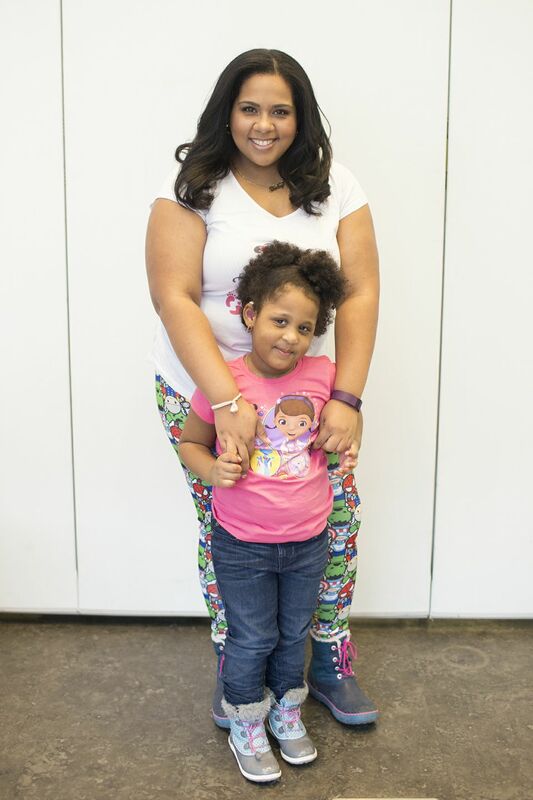 Bracelets and jewelry in general are always a good go-to for Mother's Day gifts! The charms you picked are really cute. I love how many options there are, and I'm a big charm bracelet fan anyhow!